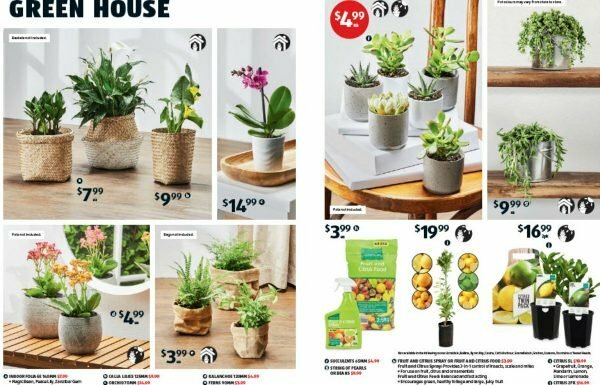 Aldi special buys: Everything you need to know about their plant sale. The next Aldi Special Buys features a very big plant sale and we have ALL the details. Attention horticultural enthusiasts and Crazy Plant Ladies, we have some very exciting news. Starting on April 3, Aldi is going to be the place to be should you want a new plant on the cheap cheap. 140mm Magic Bean Plants, Peace Lilies, Bird’s Nest Ferns and Zanzibar Gems will cost you $7.99 each. 125mm Calla Lily plants are available for $9.99 each. 70mm Orchids will burn a $14.99 hole in your pocket. 120mm Kalanchoes are $4.99 each. A range of ferns ($3.99), succulents ($4.99) and string of pearls and string of beans ($9.99) are also included in the sale. WE WANT IT ALL. Image: Aldi Australia. 140mm Dwarf Umbrella and Radiator plants ($8.99 each). Money trees for $14.99 a pop. 170mm Mandevilla in Crimson Fantasy or Pretty Rose Pink at $14.99 each. $8.99 Lavender plants, $14.99 Camellia trees and pots of $14.99 tiger grass bamboo. Bushes of flowering Tibouchina Jules plants will also be on sale for $9.99 each. Herb kits ($9.99), passion fruit trees ($6.99), button mushroom kits ($14.99), citrus trees ($16.99-$19.99, not available in WA) and chilli plants ($6.99, not available in WA) are also on offer for those who want to extend their green thumb into the kitchen. 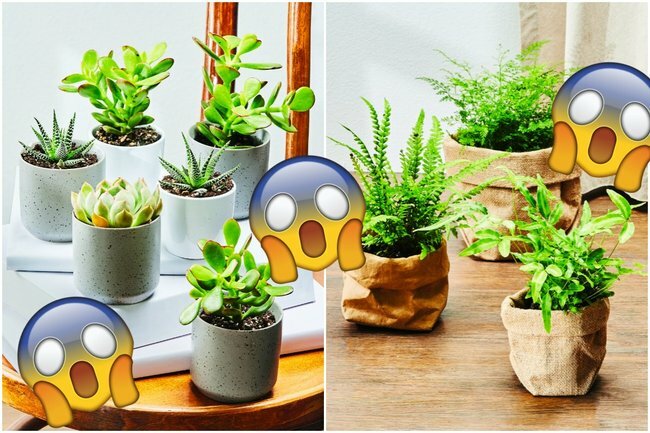 Will you by buying up big at the Aldi plant sale? What&apos;s on your shopping list? Tell us in a comment below.